We've had some segments come to an end here at PKMNcast. Breeding 101, Team Tactics, and now Concept Corner. If your a new reader to the site, here are all the articles in one new article! Jay will be writing some new stuff. Stay tuned. Also... stay tuned for our 1 Year Anniversary of PKMNcast on August 1st! Hey guys, IatosHaunted here. I have some sad news, but some good news as well. Click to read! Yokai. Oooooohhhhhhhh boy...With that out of the way, let's begin. Yokai are a class of supernatural beings in Japanese mythology, ranging across a huge number of creatures from the commonly-known Ogre to lesser-known ones such as the Yuki-Onna, which those of you who read my mythology article from a while ago may remember as the basis for Froslass. Yokai are powerful creatures, usually bearing great supernatural abilities. Yokai often posess objects or bear animal-like appearences to conceal themselves from humans, making them an excellent leaping-off point for a surprisingly large number of Pokemon. 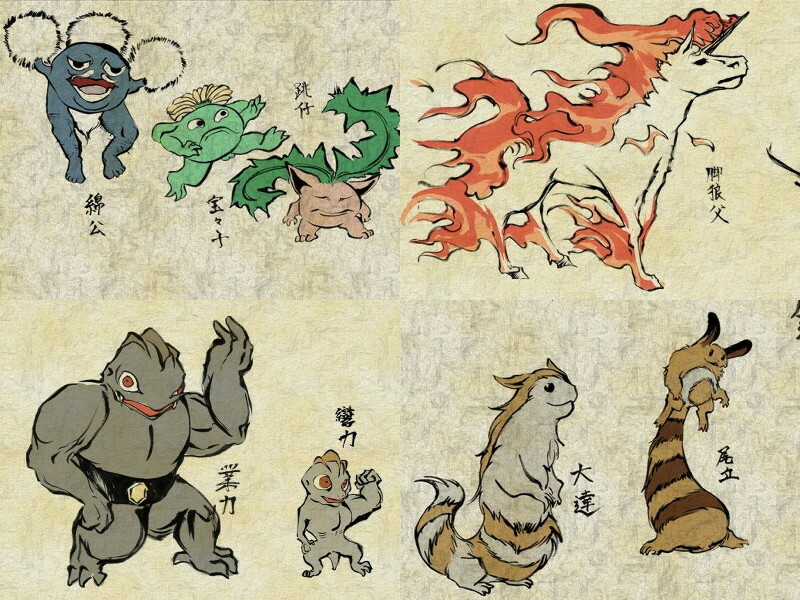 Today we talk about some of those Yokai, as well as touching upon the Pokemon created from them. Before I begin, let me give some words of warning. While I work hard to keep these articles G or at least PG, the nature of Yokai mythology is a bit gruesome. If you are easily disgusted or offended, this may not be the best choice of reading material. Extremely violent tendencies are very common in Yokai, and I feel I would be leaving interesting material oiut by not including this. Anyway, with that, it's time to suspend some disbelief and jump in! Hello once again, boys and girls, and welcome to another episode of Chuggaconroy's Pikmin walkthr-wait. What I MEANT to say was, todays fun-filled topic is that of Sinnoh's mythology, and the Pokemon involved. This involved several of Sinnoh's legendaries, most centrally Dialga, Palkia, Giratina and Arceus. Before we discuss the individual Pokemon, however, let's go over the general mythology of Sinnoh, Pokemon's creation story. Hmmmmmmyessssssss.Ladies and gentlemen, the interactions between Pokemon and humans is a broad topic, which was touched apon previously in teh topic of man-made Pokemon. Today, we're doing something very similar. There have always been those who wish to tamper with teh natural order of the Pokemon world, be it an evil orginization or a wayward scientist. Like this gentleman beside this text, the people who tamper with nature's little spawn tend to be portrayed in a negative light, as evil beings who take sick pleasure in messing with the way things work. We honestly don't see too much evidence of direct human interference creating and altering Pokemon species, but there is much evidence in the detail and framework, between the worlds of the games and anime. And this is what we're going to examine a little today, finishing off by completing the discussion on Mewtwo from last article, including how his personality changed due to humanity's involvement, summing up a sort of positive/negative series of effects. So, into the science-mobile! Man-made Pokemon are much more prominent than we realize. There's Golett and Golurk, created by an ancient civilization to protect their city, Grimer and Trubbish, spawned from pollution and chemical alterations, and, of course, Mewtwo, a genetically modified clone of the legendary Pokemon Mew. And that's our topic this week on Concept Corner, so jump in! Greetings, ladies and gents. I have an announcement to make, related to my beloved Concept Corner. The final Monochrome article, which I mentioned at the end of my last article as being about the most popular generation V Pokemon, will not be happening. The reason for this is that, honestly, tehre isn't much to write about there. And so, wishing to deliver a better article, I'm sad to say that Monochrome will end with the legendary Pokemon article. I don't think that's a bad place to end, I'm just sorry to do so so abruptly. HOWEVER, Concept Corner will, of course, continue. There will be a new article up by the end of the day. Sorry for the slight delay, it's been a long weekend and a long day today. 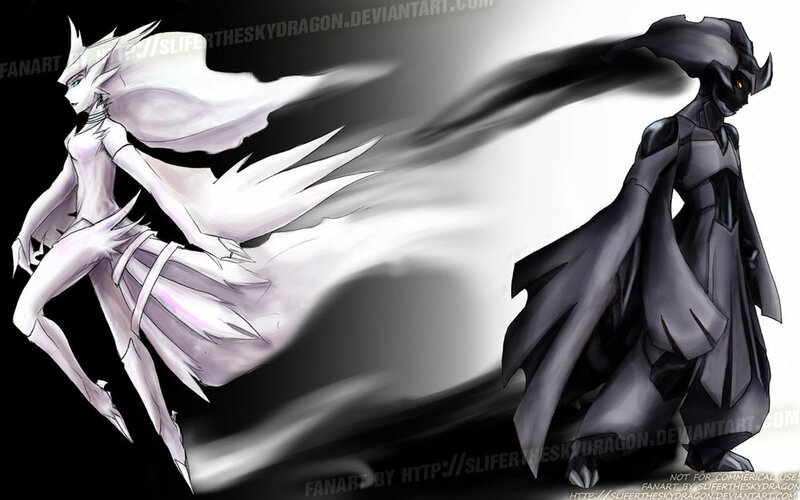 Image chosen due to pure awesomeness.Legendary Pokemon. The mythical gods of the Pokemon world. My favorite topic. Oh, we're going to have some fun today. Legendary Pokemon are, of course, the poster children of the games, dating back to Gold and Silver with Ho-oh and Lugia. We've seen diferrent themes in how the legendaries were handled over the years. In gen 1, the birds were really just treated as bonuses, with little to no explination, and Mewtwo is explained only through optional reading in Pokemon Mansion. Gen 2 gave us a little more, giving us backstory to the beast trio and Lugia and Ho-oh. Gen 3's legendaries are considered very residential to their region, the main trio holding ties to its creeation. Similar in gen 4, Dialga, Palkia and Giratina are considered as much more omnipotent, due to the magnification and scope of their powers. The other legendaries are revered in the same way. Generation 5 is diferrent, because the legendary Pokemon here are thought of a little differently. They are not thought of as gods, but rather as familiars, just with greater powers than most other Pokemon. This is meant to reflect the message of harmony and coexistence seen throughout Black and White, through the interactions between legendary Pokemon and people in Unova's history. The Musketeer trio protected humans from disaster in olden times, and the story of the heroes of Unova tells of humans and Pokemon joining forces to imrpove the world. However you view our favorite ultra ball targets, they still make for great discussion. And so I give you the legendary Pokemon Unova has to offer. And just a note, the only event legendary we'll be discussing is Keledo, due to his ties to the Musketeer trio. I'm saving the other two for another article. I love characters in Pokemon. Whether it’s your rivals, from the rich spoiled jock Gary to energetic and ambitious Barry, or the champions, from heroic and courageous Lance you mysterious and knowledgeable Cynthia, all of the characters in Pokemon fit well into their places. This generation, we saw characters get more development than ever before. We see Bianca struggle to find a path in life while dealing with her father’s disapproval, the ever going saga of Cheren’s quest to become stronger, and even the gym leaders seem to have more substance, with gyms doubling as things like restaurants and roller coasters. 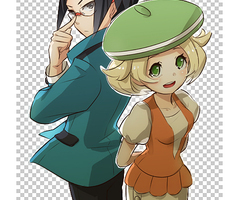 The supporting characters of Pokemon deserve to be written about, so that’s what shall be done! Okay, so without further ado, let’s get started! Look at him prancing. Truly, the righteous king of Unova.Across our years of Pokemon, we've seen several evil orginizations causing trouble. There was Team Rocket, a sort of criminal underground of Kanto. There were teams Aqua and Magma, two warring factions with ideals that were both different and similar. 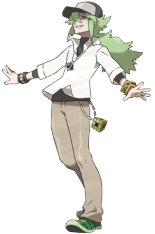 Then there was Team Galactic, a more tyrannical orginization, more closely dedicated to their leader, Cyrus, and his ideals. In this way, Team Galactic is very similar to this weeks topic: Team Plasma. Before we begin, let me warn all of my lovely readers: SPOILERS, SPOILERS, OH MY GOD SPOILERS. We have a lot to cover today, and I plan to go fully and completely in-depth. So if you're at pretty much ANY point before the end of the game, stop reading this right now. *looks around* are you gone yet? Good.